Over the decades the BONCOURT Cellar Masters have perfected the art of ageing and blending – know-how that has allowed them to create this distinctive premium brandy which stands in a class of its own in terms of taste and quality. 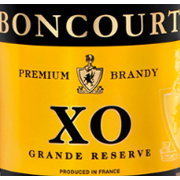 BONCOURT XO Grande Réserve is a blend of the finest eaux-de-vie which have been slowly aged in oak barrels under the watchful care of our expert Cellar Master to develop their rich, sophisticated taste and mellow character. These qualities make BONCOURT XO Grande Réserve an ideal sipping brandy which also lends itself to use in a variety of cocktails and long drinks.